NIEU-BETHESDA NEWS — Since the 1980’s, several attempts have been made to have the famous Owl House in Nieu-Bethesda awarded the status that it deserves. On July 13, 1990, this internationally recognised icon of Outsider Art was provisionally declared a National Monument, a status that was extended with another 5 years on March 17, 1995. 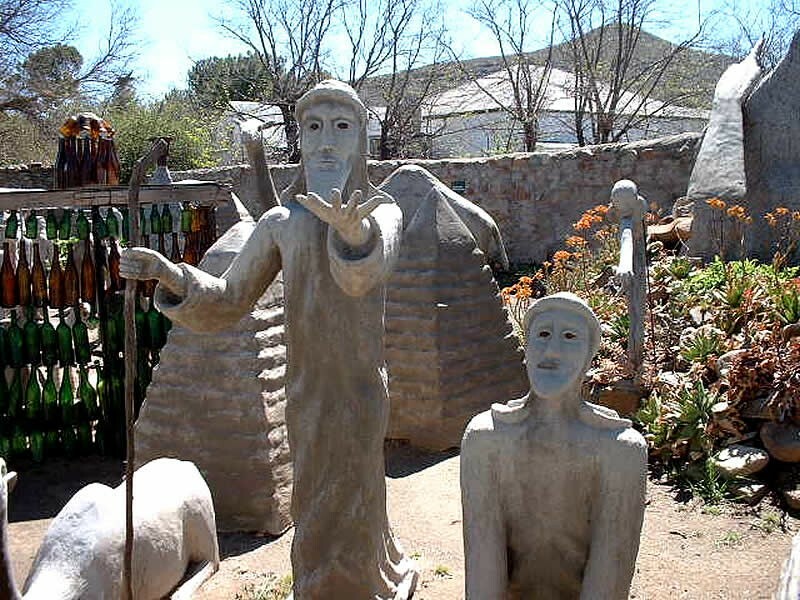 From there on, several applications to have the Owl House (and its mystical Camel Yard) declared to full National Monument status were submitted to the National Monuments Council (NMC) and to its successor, the South African National Heritage Resources Agency (SAHRA). The wheels were finally set in motion with a more recent intervention, when a nomination to have the Owl House declared a Grade 1 National Heritage Site was submitted to SAHRA by some concerned members of the public, early in 2015. Since then the Municipality (first Camdeboo and now Dr Beyers Naudé) has been in regular contact with SAHRA officials. After a lengthy process of submitting the nomination for consideration by their Grading’s Committee, it has now progressed to the next stage, for which SAHRA has recently issued a Section 27 Notice, informing the Municipality and registered Stakeholders of their intent to declare the Owl House, and its Camel Yard as a National Heritage Site. SAHRA’s intention to declare was announced at a public meeting held in Nieu-Bethesda on April 11, 2017, as part of the Mayoral Outreach programme, during which the Budget, IDP and other matters of mutual interest or concern were discussed with the communities. This brings to fruition the various attempts over the years and all the hard work that was put into the previous applications and nominations by the parties concerned. Since the 1980’s, several attempts have been made to have the famous Owl House in Nieu-Bethesda awarded the status that it deserves.